Orlando Glass repair and service – Osceola Glass in Central Florida specializes in a wide range of residential and commercial glass services. We are one of the premier glass service companies serving the greater Orlando area – and provide fast on-site 24-hour emergency glass replacement and board-ups, 7 days a week. From single glass pane repairs to whole house upgrades and installations, we do it all. 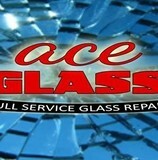 We are a full service glass company who can handle any glass repair or replacement need you might have. Our experienced glass technicians provide superior quality service at sensible prices. Not only are we fast and efficient, Osceola Glass is also affordable. 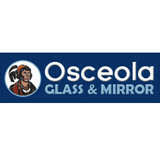 Osceola Glass serves the entire greater Orlando area and all of Central Florida. We are your family owned one stop glass repair and service center. We provide fast, courteous service. Visit our glass center or call us at 407-892-0841.
is a Hardware Company established in 2010, for us a dream an a vision to offer the best quality hardware in America, It’s our customers and their needs that inspire us to grow every day offering new lines, different products and the latest trends with this unique selection of European products. It’s our desire to bring JINOX everywhere and have satisfied clients and strong alliances for a long time to come. 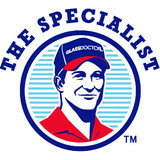 Glass Doctor is the glass professional that services all your home glass needs from shower doors to mirrors, and window repair or replacement. orlando glass, Orange County Glass About Orange County Glass Orange County Glass offers exceptional quality, value and service for residential and commercial projects throughout the Central Florida Area. From design and installation to repair, Orange County Glass is a full service glass company and prides itself on delivering the best experience to its customers through response time and quality assurance. Based in Orlando, Florida, Orange County Glass is a subsidiary of ACME glass, which has been family-owned and operated since 1908. Specializing in shower enclosures, mirror work, storefront and art glass, Orange County Glass has superior experience and knowledge of the industry. With dedication to Central Florida's glass industry, Orange County Glass is owned by Christian and Maria Basso. Serving the glass industry since 2002 and heading up the sales and operations of Orange County Glass, Christian is a graduate of Stetson University and has much familiarity to his hometown, Orlando. Born in Ecuador and holding a law degree from Universidad Central, Maria entered the glass industry in 2006—proudly serving as Office Manager. Continuing with the means of delivering the highest quality of service to its clientele and partners in the area, Orange County Glass serves the entire Central Florida area and beyond, including Orange, Seminole and Osceola Counties. O’Town Glass & Mirror is family company owned by Chris, Mike and Jerry Kipp. Mike Kipp has over 30 years experience in the glass and mirror industry. We pride ourselves on our commitment to quality craftsmanship, prompt service and complete customer satisfaction. Every piece of glass and mirror that we sell is closely inspected for defects & scratches and only the highest quality product is passed on to the customer. Glass and mirror fabricating is not all we do. In addition to residential repair of windows and screens, we also sell and install custom shower enclosures for your remodeling project. Mike has been proudly serving the central Florida area for more than 20 years. We are experts in glass and mirror repair, replacement and installation. We provide quality services to customers small and large. O’Town Glass & Mirror has the capability and experience to get the job done no matter how large or small. Just because we call it custom, doesn't mean our prices are. We use our expertise in estimating that we assure you the best price for your project. You should only work with a window replacement company that has the expertise and experience selling and installing new windows- preferably at least 10 years of experience. We service Lake Mary, Sanford, Debary, Altamonte Springs, Orange City for shower doors, window repair and new windows. We have over 65 years experience in window replacement work! We have great options if your looking for new windows for your home in Sanford and surrounding area. We are able to offer you a range new window types and designs, including a selection of energy efficient window replacements. You can find reviews and comments on window replacement companies in the Sanford, Florida area, by looking online and you will find that we are the best of the best! Central Florida Glass is a full service residential and commercial glass company. We provide service to businesses, homeowners, and contractors with any of their glass needs. Central Florida Glass was founded by Derek Isaacson, who has been in the glass industry since the 1996. Customer service and quality are the top priority at CFL Glass. Our Residential division provides local homeowners with quality bath enclosures, broken window repair, mirrors, insulated glass replacement, tabletops, and more. Our Commercial division provides contractors and business owners with aluminum entrances, storefront, fire-rated glass, hurricane-rated glass, and other products and services. We opened in 1983 with the hopes of being the best stained glass business in the area. And now, we are the oldest stained glass business in the state of Florida. We believe that antiques and stained glass compliment each other as is evident in the displays and merchandise in our store. If you are looking for that unique gift, we carry many handmade glass item that are available for immediate purchase. We also do custom work for that personal touch in your home or office. Some ideas include; privacy in a bathroom with a stained glass window, a lampshade for a desk, transom and sidelight windows for your front entrance, to name only a few. Bring in your wallpaper or color samples and we can match these in an appropriate presentation for your individual preference. If you are a real glass enthusiast, we offer classes right in our store to teach you how to learn the stained glass method. Oviedo Glass has been servicing the Central Florida area for over a decade. We are a family owned and operated business located in Oviedo Florida around the UCF area. We specialize in custom ODL glass door inserts, PGT windows, fully framed to frameless shower enclosures, customized mirrors, and glass table tops for residential and business locations. Our customers expect the best and we strive to give them the most satisfactory of service. With our high quality of work and efficiency we set ourselves apart from our competitors. We have helped and worked with many local companies: General contractors, Schools, Churches, Pool companies, Dance studios, Realtors, Interior decorators, Restaurants, Salons, Barbershops, and much more. Oviedo Glass has built customized doors, windows, table tops, dining room tables, cabinet glass for your kitchen cabinets, shower doors, enclosure units and much more. Oviedo Glass is an authorized dealer for PGT Industries, ODL, Therma Tru Doors and more. Located in Winter Haven, Florida, Hart's Glass is a full-service glass company offering residential and commercial glass sales, installation, and repair. As a local, family-owned-and-operated business backed by more than 75 years of combined experience, we are the area's first choice for quality products, personalized service, and top-rated craftsmanship. Our knowledgeable and friendly team of glass contractors at Hart's Glass specializes in custom services for commercial and residential customers, and we are licensed and insured for your peace of mind and protection. Whether you are in need of glass repair for your storefront window or you are updating your bathroom with a custom shower enclosure, we get the job done right the first time. Count on our professionals for all of your glass and mirror needs, and put our experience to work for you! We offer the best glass, mirrors & shower doors services in Lakeland, FL. Please contact us for all of your glass, mirrors & shower doors needs! With a wide range of products and superior customer service, Coleman Glass & Mirror can handle all your glass needs. Our goal is to be the best, whether you are looking for auto glass replacement or repair, windshield replacement, or custom glass work. Our experienced glass technicians will meet your every expectation. Coleman Glass & Mirror uses only the highest quality products and installation procedures to ensure your complete satisfaction. Coleman Glass & Mirror is a family owned and operated full service glass shop located in West Melbourne, Florida. Coleman Glass & Mirror has been meeting the glass needs of Brevard & Indian River Counties for over 25 years. What can a local Orlando glass company help me with? If it’s a major home glass repair or replacement, the Orlando glass company should work directly with your insurance company to help bring down costs for you, if applicable. Find Orlando glass companies on Houzz. Narrow your search in the Professionals section of the website to local glass, mirror and shower door services in Orlando, FL and read reviews and ratings to find one that fits your needs.